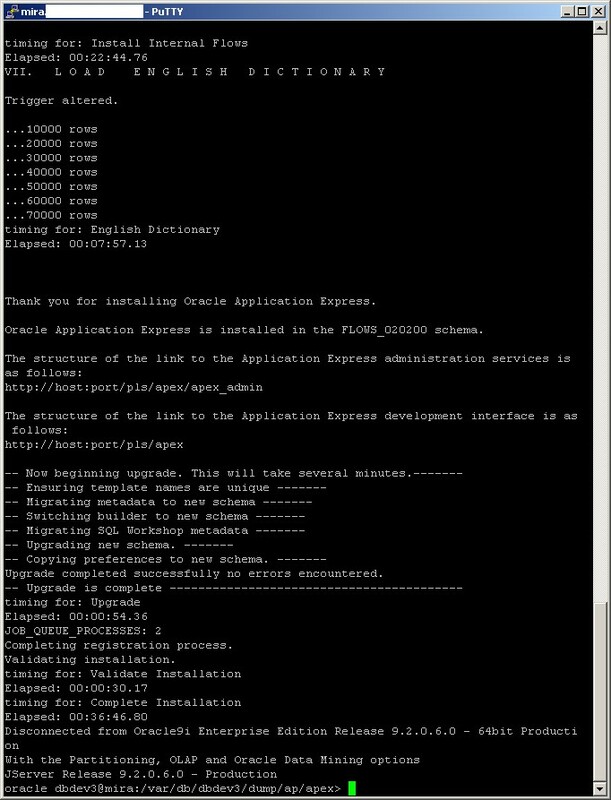 The installation of APEX 2.2 went smooth! 4. 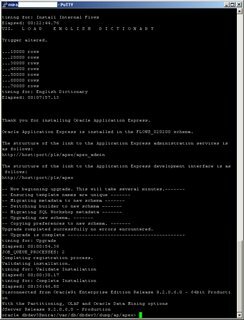 Run sqlplus "sys/... as sysdba"
What happened in the database? 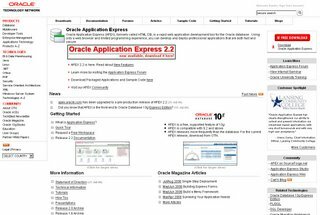 As of yesterday, Oracle Application Express 2.2 is in production! You can download it from the APEX OTN site here. You can see APEX 2.2 working here. Although it's only an increase in release after the "." there're some great new features! You can now copy a page from one application into another. During the copy process, you can also copy referenced shared components or change the mappings to shared components in the target application. In release 2.2, you can build forms and calendars on tables that have columns of type TIMESTAMP. You can now export shared components or components of a page. 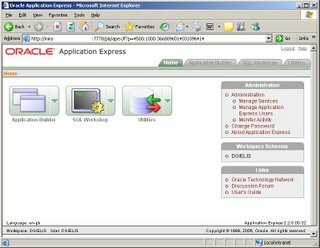 You can use this new feature to backup a component before editing or to create an export that functions as a patch to another Oracle Application Express instance. Well, it's over... Italy won the World Cup 2006! The APEX WC2006 application was a great success. More than 420 people subscribed for the application and a lot of them kept betting till the final. I found it a lot of fun! It was more special to look at the games, hoping the score would be like I predicted. If 1 minute before the final whistle the other team marked a goal, I don't need to tell you what words were said ;-) It even got an other dimension when I was staying in the States and I saw the other betters... I never imagined the application would have such an impact. I would like to thank you all for the great feedback, the feature requests (which made the application better) and for playing with us. - to my parents, for backing me up and filling in the scores right after the end of the game! - to Kristel Geukens from G&G Design for helping me with the lay-out of the site and supporting me. - to Jes (John Scott) from Shellprompt for the nice cooperation, the hosting and the excellent support! Jes posted also some feedback on his blog here. 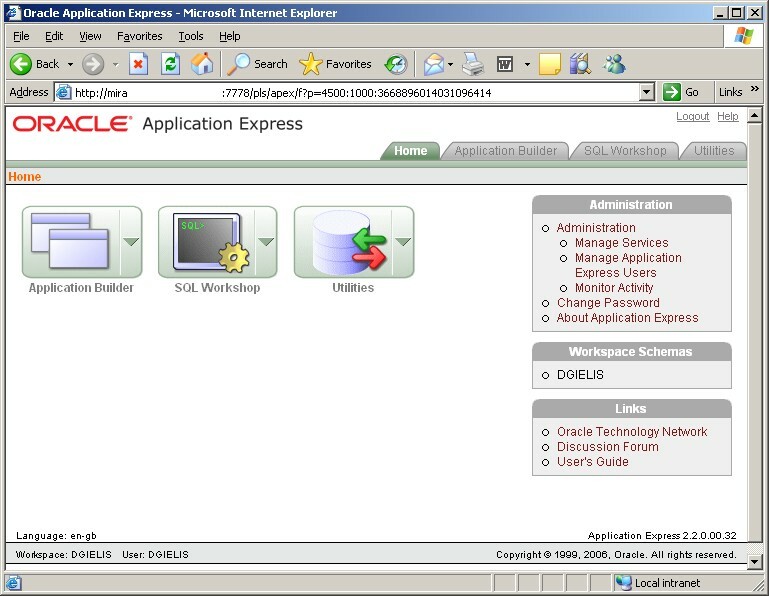 Last Friday, we upgraded our Oracle Application Express 2.2 test and evaluation instance. The code is now very close to production. Thank you all for giving us feedback. We have read and responded to almost all comments. Many of your suggestions have been implemented in this release or are logged for consideration in 3.0. Please continue to comment and especially comment if you find a bug or what you think might be a bug. Lastly, if you like something in Apex 2.2 would you consider providing a quote? You can comment on Apex in general or version 2.2 specifically. We need just a few quotes for our upcoming press release. If you really like Apex, this is your chance to tell the world. If you are interested, email your comment(s) along with you name, company name and contact information to htmldbstudio_us@oracle.com. My quote 1: "APEX, my true and only development environment!"
I didn't see a lot of news about Oracle and APEX in the last days. 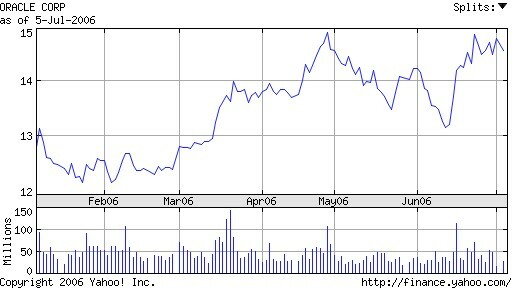 The Oracle stocks are doing fine (see picture - evolution of last 6 months). 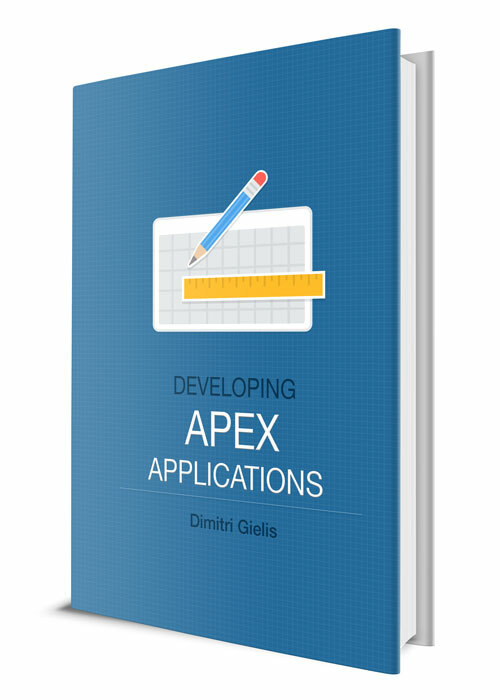 On the APEX site, the evaluation version 2.2 is still available. 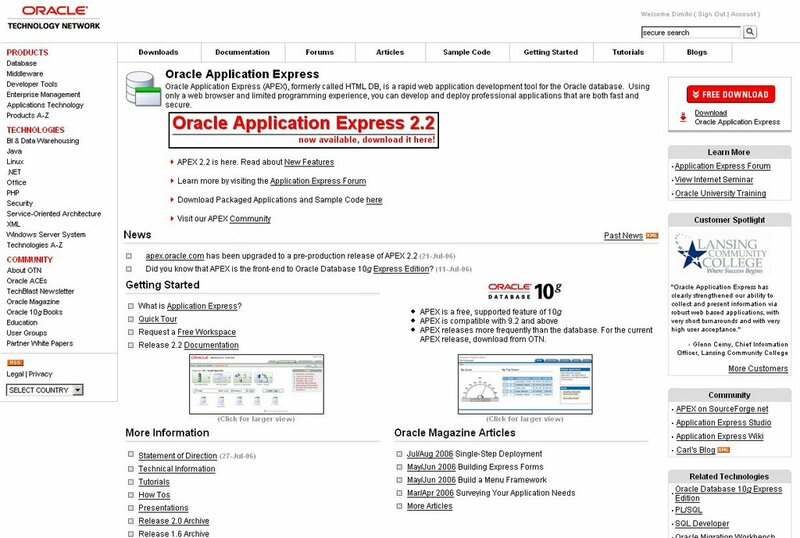 The APEX VP of Oracle said that after handling all feedback, the 2.2 release would be available to the public, first on http://apex.oracle.com afterwards as a download. On Tuesday, I gave an overview of the presentations I followed at ODTUG to my team. They found it interesting topics and asked if the presentations were available as download. You can download the ODTUG presentations till the first of August on the ODTUG site. Yesterday I went to a bbq of Edison, a publicity company in Leuven, BE. A few times a year they do an event with the employees, freelances and clients. My girl friend works as freelance for them and I could join her. 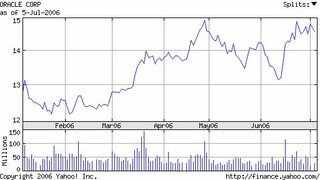 It had nothing to do with Oracle, but it was interesting to see and hear how they see the market. They knew Oracle, but only from the logo and how they make publicity! I had an interesting conversation with Philip Maes, a known guy in the publicity world, about the different ways to make publicity. Doing pub on the radio is very different than doing pub on tv or in magazines. Although I didn't learn anything technical, it was very interesting to be there! And it was FUN!